"Festive Flowers" Too digital paper pack is like opening another box of Christmas decorations. So much more to choose from and maybe just the perfect background paper option to suit your cards or scrapbooking layouts. These background papers are NOT included in the FQB "Festive Flowers" Collection, so please don't miss out! 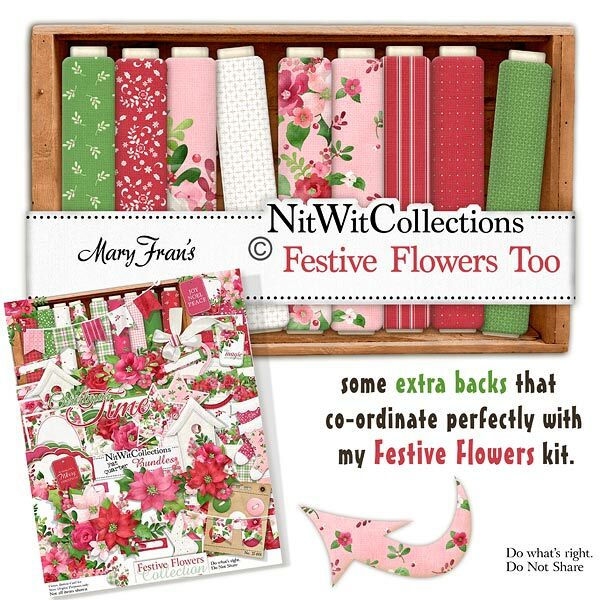 15 Digital background papers that coordinate and colour match my FQB "Festive Flowers" Collection.